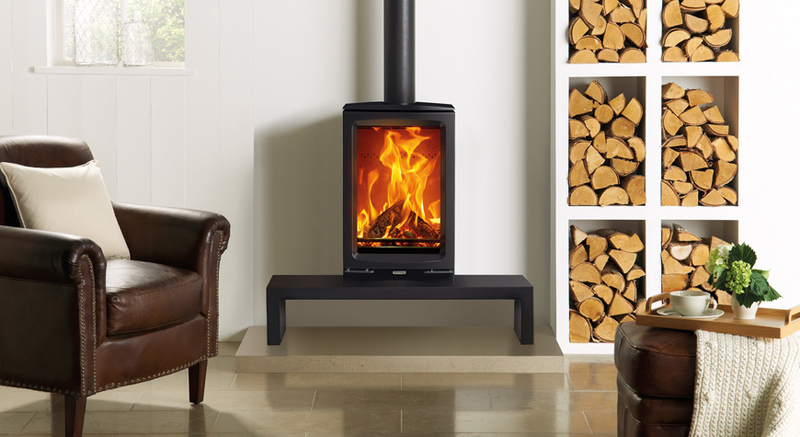 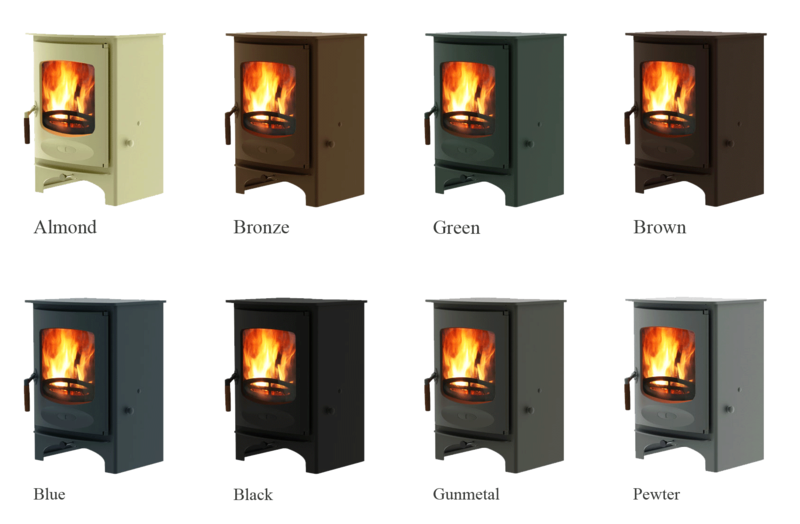 The Stovax Midi T is a taller version of the Vogue Midi wood burning stove, offering the same ultra cleanburn capability of the Midi, but featuring a more portrait firebox. 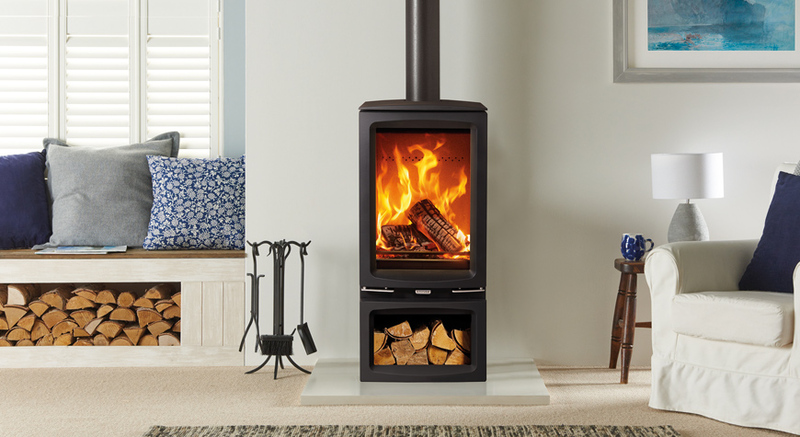 Displaying superb visuals through the large stove window, the powerful Airwash system ensures the flames can always be appreciated. 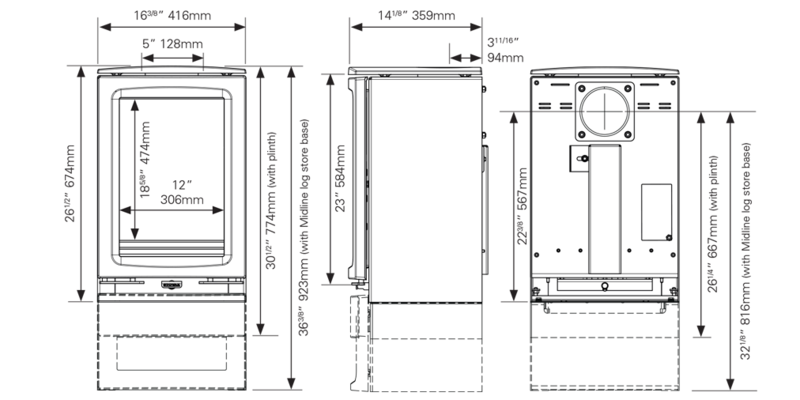 The Midi T can be installed with the Midline log store base for convenient fuel storage and increased height.